Some Nollywood actresses, whose marriages have crashed, have always come out to claim that their union crumbled because they were abused by their spouses. The likes of Monalisa Chinda, Chika Ike, Ayo Adesanya and others claimed that their respective husbands battered them while their marriages lasted. 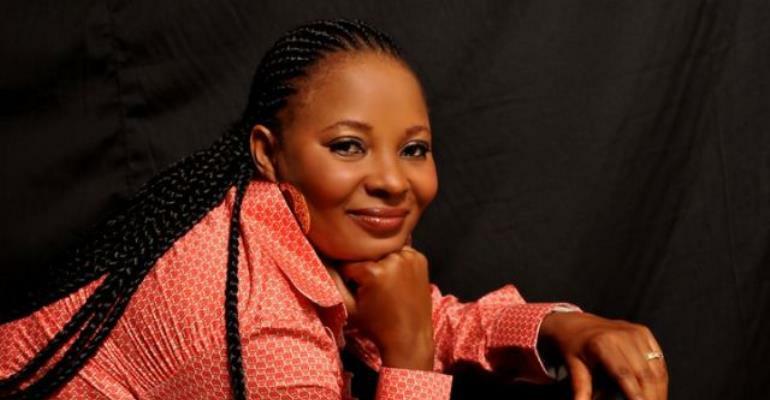 One of the actresses that have now joined the league of 'I was battered by my hubby,' is a daughter of legendary highlife musician, Victor Olaiya, Moji. The marriage of the talented actress to one Nelson Okesola crashed like a badly arranged set of cards and there is no sign that they would resolve their differences soon, Moji is even planning to re-marry. In 2013, Moji granted an interview claiming she was the one financing her estranged husband, who she described as a lazy man. In an exclusive chat with Nollywoodgists.com last Thursday, the versatile actress said that she left her marriage because she was domestically abused by her man. “One of the reasons I broke up with my husband was because of domestic violence, but I don't want to go into details of the whole mess,” Moji revealed. When asked if she was accusing her hubby of violence now because some of her colleagues have been coming out to make such claim against their ex-husbands, Moji said, “I am not going to hold brief for anybody. If you call two or three people, who knew about our relationship, they will confirm what I am saying. Some men believe they can show their ego by beating their wives,” she stated. SAD NEWS: Sultry Actress, Ini Edo Loses Pregnancy?